It is well known by now that bed bugs, unlike cockroaches, flies, bees and ants, are not attracted to food or any other types of waste material. 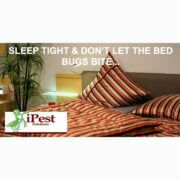 Bed bugs are the only common pests that are just as likely to disturb the wealthy as they are to disturb the poor. This means that no matter how much a person spends on pest control prevention, bed bugs can still manage to infest a wealthy person’s home. 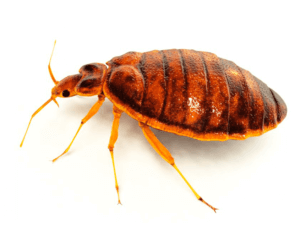 Bed bug infestations can cause certain wealthy individuals to experience a significant amount of stress, as such people are not often used to the difficulties involved with insect infestations. This is a particular area of interest that is currently being studied by entomologists, psychologists and other experts. Surprisingly, at the moment, very few studies have been done that focus on the psychological consequences of experiencing bed bug infestations. Any person who has suffered through a bed bug infestation can tell you that such an experience is stressful, but few would admit to contemplating suicide as a result of bed bug-related stress. Sadly, several years ago, an individual did commit suicide over a stressful bed bug infestation. In an effort to better understand the psychological toll that bed bug infestations can take on people, researchers conducted a case study on this particular woman. A woman, referred to as Ms. A in the case study, had been suffering from bipolar disorder, borderline personality disorder and alcoholism. Ms. A had been taking medication to manage her mental issues, but this did not prevent her from taking her own life. Several weeks before her suicide, Ms. A had reported a bed bug infestation. Four weeks after the initial infestation had been eradicated, another occurred. At this point her pest control operator told her to place her clothes into a plastic bag so that fumigations could take place three weeks later. Ms. A became significantly distressed at this point, and she resumed her drinking habit. Shorty before Ms. A committed suicide, she sent an email to her loved ones that said that she had just woken in the middle of the night to find a spot of blood on her nightgown due to bed bug activity. She also stated that she was going to end her life due to the bed bug issues in her home. Shortly thereafter, she was found dead in her home, having finally committed suicide. Due to this case study, as well as several internet forum and blog articles telling about people’s experiences with bed bug infestations, the stress of such infestations can “cause serious and life-threatening psychiatric consequences for those who are vulnerable.” Hopefully, public health officials will one day take psychological stress into account when assessing the seriousness of bed bug infestations. 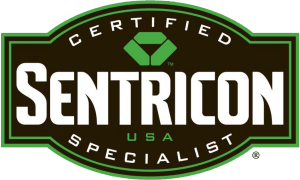 Have you ever had a close friend or relative that was forced to deal with a bed bug infestation?